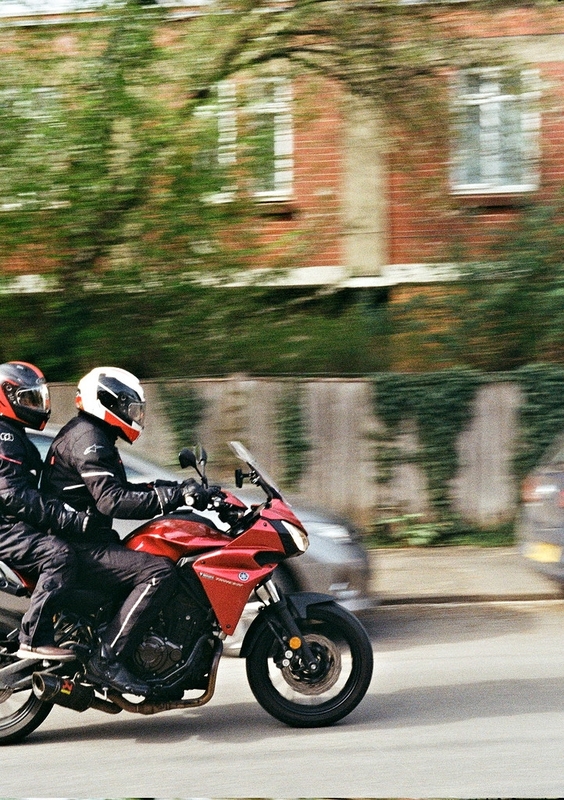 Just a quick try at panning on a motorcycle. Chopping off the back was intentional as there wasn't time to rotate the camera into landscape mode and I thought it better to lose half the back wheel rather than the front. Something that does need to be practised, I like airshows, and on early photos I missed half the aeroplane out on more than the odd occasion. Now I get my eye in on the arriving private aircraft before the show starts so I can at least get good images of the stars of the show. Never tried anything close like this though, close and fast motorbikes must be awkward!